I never knew the power of a name before I had Jensen. There came a time in my early grief where the people around me stopped saying his name on a daily basis. This just happens, I understand that now and don’t hold any anger towards them. Yet, I longed to hear his name and talk about him as much as I could. I would say it out loud to myself whenever I could and filled my house with it and J’s. During this time and even now, I want to be surrounded by him because I miss him and he should be here. Still, I felt like I needed to share his story, say his name, and remember him with others who understood what losing a child felt like. Finding the baby loss community so early in my grief has helped me heal and know I’m not alone. I remember not even a month into my grief, I was sitting on the couch, and watching Carly Marie write names on Christian’s Beach. Each time she wrote a baby’s name, I felt the mother and father’s name. As I saw others write their child’s name in the comments, I wanted to do the same and see his name clear on the other side of the world. So I did and within a few moments, there she started his cursive J. My heart felt easy, which was a crazy juxtaposition to how I felt beforehand. Then the waves, trickled up, and washed away his name. He and his memory was forever on that beach and then in the ocean. I didn’t think of it as an act of kindness in that moment. It was a gift. One that I needed, but didn’t know I did. Since then, members of this community and even those who are not, have sent me secret acts of kindness: his name. I have hundreds of pictures of Jensen travels from around the world. For his birthday, I even made a scrapbook of them. Seeing and hearing his name are the greatest gifts I can ask for post-loss. Just recieving a text from a friend saying they’re thinking of Jensen can completely turn my day around. This is a gift, an act of kindness, you can easily give to your friend, family member, or someone you know who has experienced loss. As a loss mom, I’m thankful to have been able to help other moms by making name wreaths and writing their child’s name on the beach. We all need support and sometimes it’s as simple as knowing the power of a name. 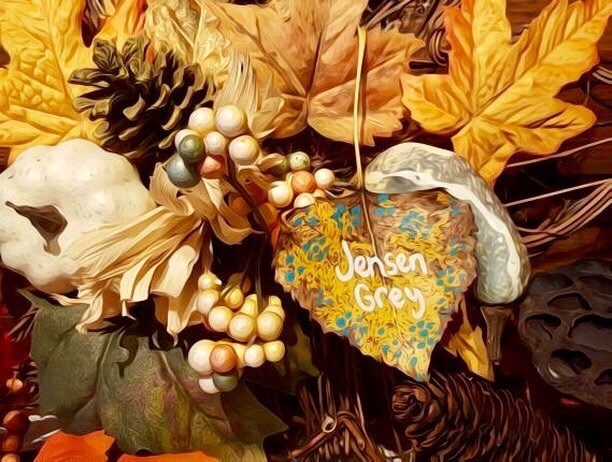 Thank you Avery’s mom, Tara from Avery’s Garden, for including Jensen in your Leaves of Love Tree for your Wave of Light project. You do so many beautiful projects for our community, I’m thankful to know you and Avery. This entry was posted in Capture Your Grief, grieving, Jensen, miscarriage, stillbirth and tagged baby loss, Capture Your Grief, Capture Your Grief 2017, child loss, grief, grief attack, grief journey, grief work, grieving, infant loss, infant loss awareness, Jensen, Jensen Grey, life, life after loss, loss, loss community, love, mama grief, miscarriage, Pregnancy and Infant Loss, Pregnancy and Infant Loss Awareness, Random Acts of Kindness, Still Standing, stillbirth, stillbirth awareness, stillborn by danielleridgway. Bookmark the permalink.